and he's wearing an orchid! What would it be like to see the natural world through the eyes of a genius? To discover and think and wonder like Darwin? Plants were an enduring focus of Charles Darwin's scientific life. His study of orchids was a cornerstone of his ideas about evolution. His ideas had their basis in his observations of living orchids, not just drawings or dried specimens. 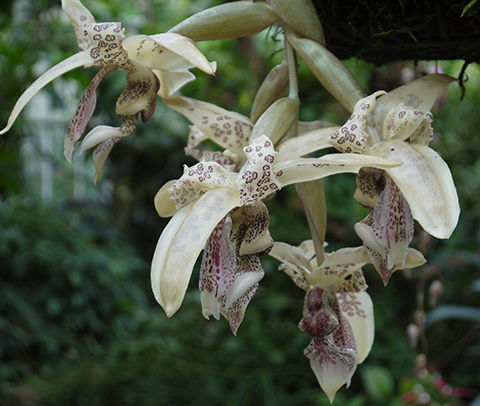 And he was fortunate to have access to an extraordinary variety of native and tropical orchids. 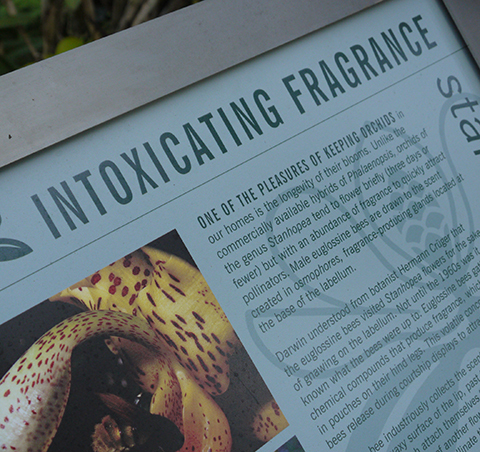 Imagine how excited Darwin must have been to see a Stanhopea flowering for the first time. What an explosion of creative thinking it must have ignited. More than a hundred different species of orchids flower in the Fuqua Orchid Center on any given day. 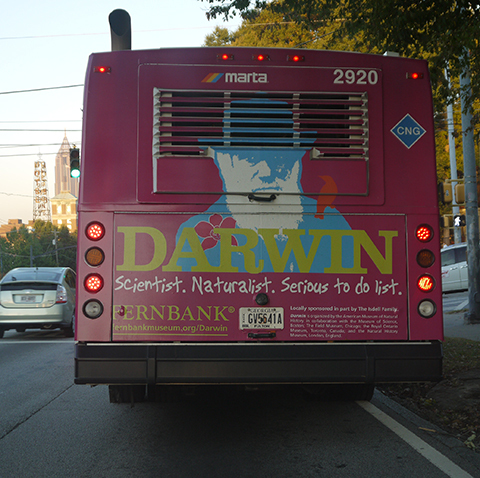 I can't help but imagine what fun it would be to tour around with Darwin. What would Darwin have thought of the myriad diversity of Dendrobiums, the slipper orchids, the exquisite simplicity of the Masdevallias, the horrific Bulbophyllums? 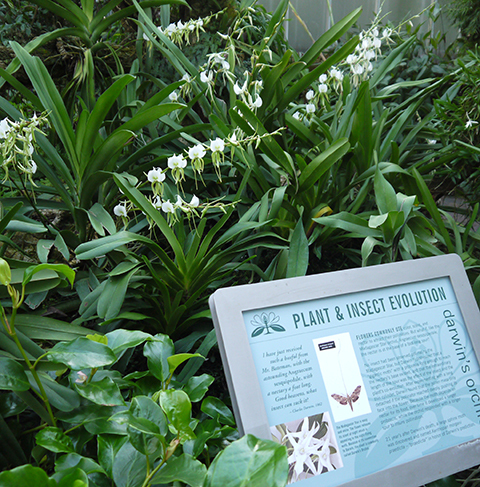 Come see and discover the orchids for yourself! 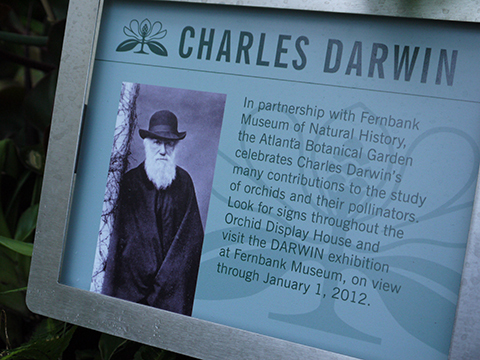 Our Darwin exhibit runs through January. Our thanks to Dr. Jenny Cruse-Sanders, Tracy McClendon, Chris Kozarich and Hilary Hart who created this exhibit.